About Cyberkov | Cyberkov | Professional Cybersecurity & Consultation Firm. Cyberkov is a professional Cybersecurity & Consultation Firm headquartered in Kuwait City, providing highly targeted set of security services, including but not limited to: Penetration Testing, Vulnerability Assessments, Security Assessments, Digital Forensics, Incident Response, RedTeam Operations, Cyber Threat Hunting Operations, Source Code Analysis, Security Awareness Training and others. Reintroducing the value of cybersecurity into People, Culture and IT industry once again. Providing reliable cybersecurity services, solutions, training and unique capabilities that help our customers defeat cyber threats and protect their business mission. - Providing appropriate cyber defenses to resist and eliminate advanced adversaries. - Increasing the scale and effectiveness of cybersecurity capability and awareness at all levels. - Preparing our clients to counter cyber threats and attacks in a professional, structured, panic-free methodology. - Developing globally renowned security products that meet the industry’s best standards and practices. Focusing on practicality, Cyberkov helps organizations achieve a high level of security on all levels, from the lines of source code to the minds of the IT staff behind the systems. 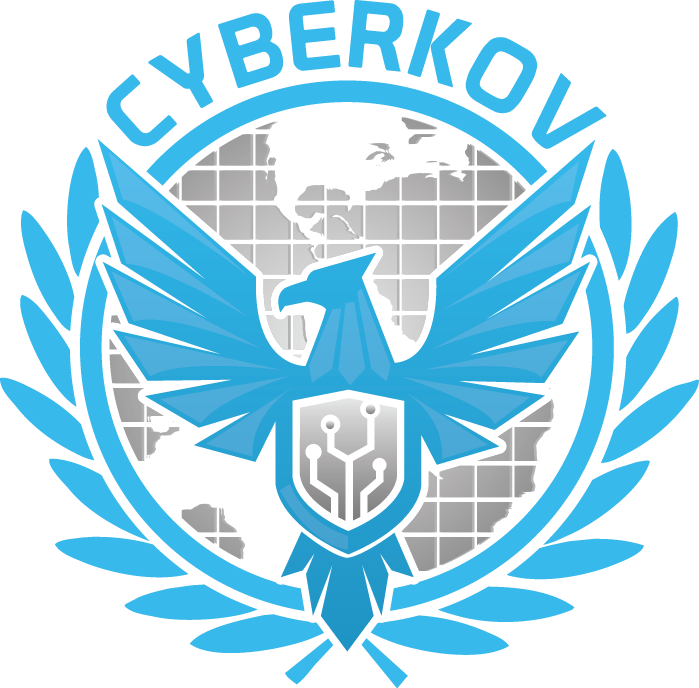 Cyberkov utilizes the skills and expertise of its team in order to perform its security services; guaranteeing the uniqueness, relevance and accuracy of its results. Cyberkov also factors in the human element of organizations when performing security analysis and mitigation, in order to introduce a healthy culture of security awareness and compliance. Unfortunately, most organizations in the MENA region were caught unprepared for these different kinds of sophisticated attacks, and so Cyberkov initiated its efforts to aid these organizations and enterprises in understanding the reality of these risks, which enabled a number of clients to successfully defend themselves against the constant waves of cyber attacks. Cyberkov provided consultations and services to sensitive governmental bodies, as well as oil & gas enterprises; the results of which were immediate insight into the security state of the clients, and a rapid improvement in the applied defenses and staff security awareness. Cyberkov’s professionals are globally certified and trained by the best security institutions in the world including BlackHat Training, GIAC SANS institute, EC-Council, Mile2, NATO CyberDefense Program, ISC2, FireBrand, VeriSign and OWASP.